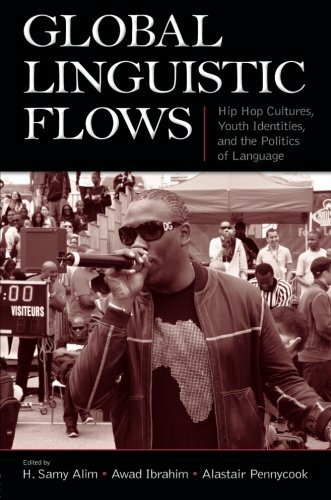 Located at the intersection of sociolinguistics and Hip Hop Studies, this cutting-edge book moves around the world – spanning Africa, Asia, Australia, the Americas and the European Union – to explore Hip Hop cultures, youth identities, the politics of language, and the simultaneous processes of globalization and localization. Focusing closely on language, these scholars of sociolinguistics, linguistic anthropology, cultural studies, and critical pedagogies offer linguistic insights to the growing scholarship on Hip Hop Culture, while reorienting their respective fields by paying closer attention to processes of globalization and localization. The book engages complex processes such as transnationalism, (im)migration, cultural flow, and diaspora in an effort to expand current theoretical approaches to language choice and agency, speech style and stylization, codeswitching and language mixing, crossing and sociolinguistic variation, and language use and globalization. Moving throughout the Global Hip Hop Nation, through scenes as diverse as Hong Kong’s urban center, Germany’s Mannheim inner-city district of Weststadt, the Brazilian favelas, the streets of Lagos and Dar es Salaam, and the hoods of the San Francisco Bay Area, this global intellectual cipha breaks new ground in the ethnographic study of language and popular culture. View More In Pop Culture.